Happy New Year, and why didn't you come when we butchered? "Dear Uncle, Let us know why you didn't come up when we butchered. I had phoned down. We thought you may be sick. Let us know. It worried Mamma that you did not come. From Sadie." So, today's lesson: Don't skip family butcherings. Peppy 2015! For us to advance as a civilization, I believe that one of the things we need to do is move on from the word "happy. "1 It's overused and all worn out. We have a deep, rich language, and I think we should deploy more of its words. So I propose that we replace happy with peppy, a word that dates to World War I and has plenty of tread left on its tires. Other finalists were chirpy and perky. That you find in everything. 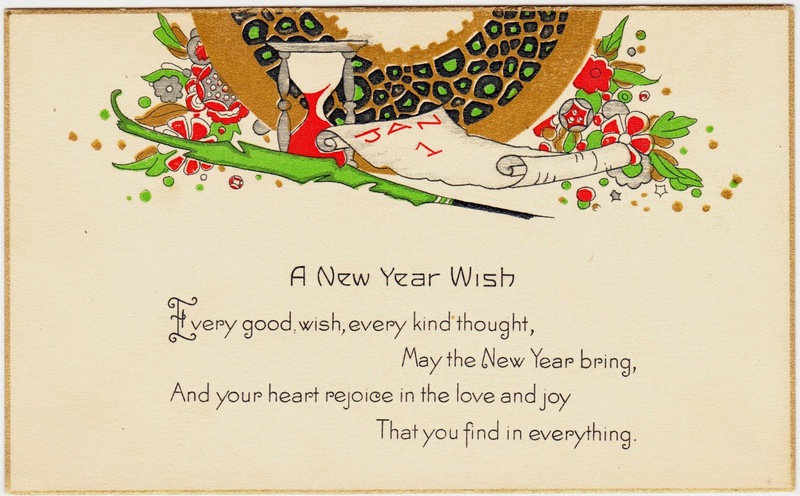 In addition, I think we should use this card's typography as the official font of 2015. We can call it Peppy Sans. Thoughts? 1. We also need to move on from reality television, fossil fuels and war, possibly in that order. But that's a topic for another day. "This card is coming to you from cold and windy Poland. I sent some cards to make my day a bit brighter. May your Christmas be filled with love, laughter, good food and fine wines." "Wycinanki, pronounced Vee-chee-non-kee, is the Polish word for 'paper-cut design'. Just when and why this art form began to flower in Poland seems a matter of some uncertainty. Some say it goes back to the time when few farm houses had glass windows. To keep out the elements, peasant farmers hung sheep skins over the window openings. Then, to let in some light and air, they took their sheep shears and snipped small openings in the skins, and these were soon recognized as decorative as well as functional. The most well known modern styles of Wycinanki comes from two districts. One is the Kurpie cut out. This is usually a symmetrical design, cut from a single piece of colored paper, folded a single time, with spruce trees and birds as the most popular motifs. The second style comes from the area of Lowicz. 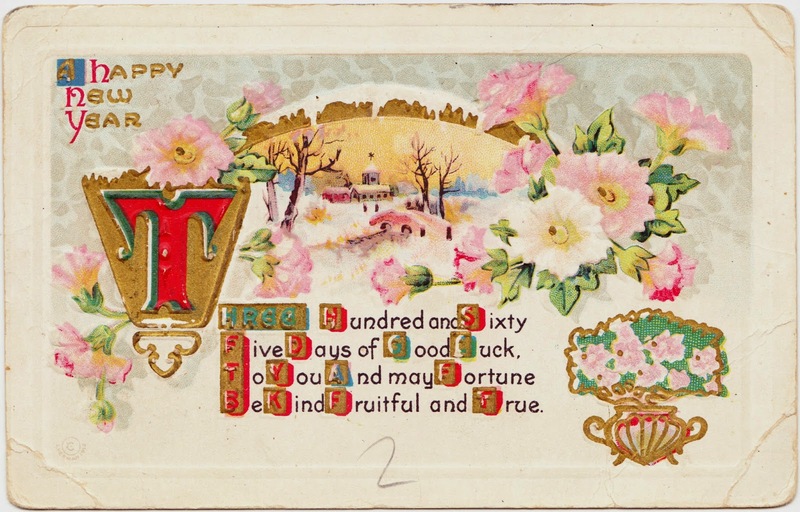 It is distinguished by the many layers of brightly colored paper used in its composition. The unique richness of paper-cut designs done in the Polish tradition is a special contribution to the artitistic heritage of the world." 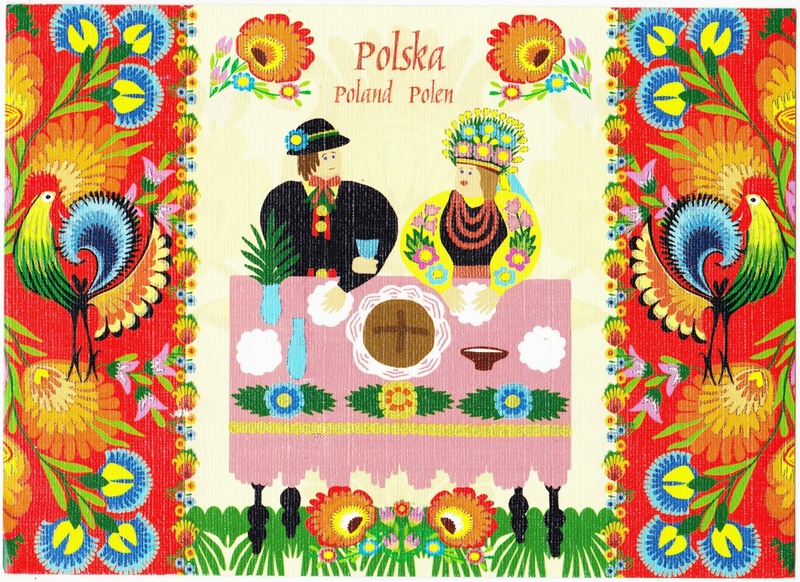 If you like this postcard, the Polish Art Center, located in Michigan, sells two sets of eight folk-art postcards by Stefaniak. Set A contains the postcard that was mailed to me from Poland. And there is also a Set B. 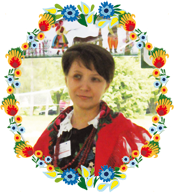 According to a translation of a Polish-language website that I found, Stefaniak learned the art of wycinanki from her mother and sisters and has been creating art for nearly two decades. She is considered one of the most talented artists in Poland and her work has been exhibited in New York and Chicago. 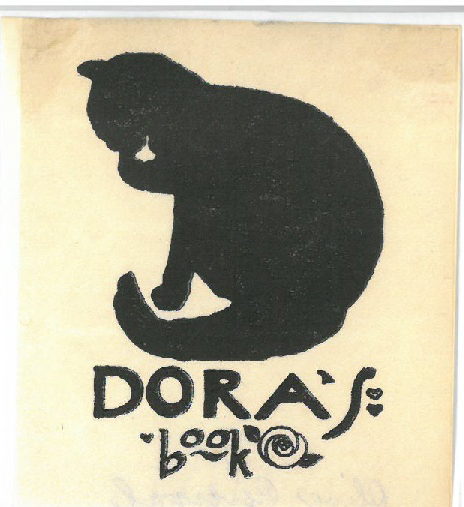 I've shared a bundle of bookplates here on the Papergreat, but I don't believe I've ever shared my grandmother's. 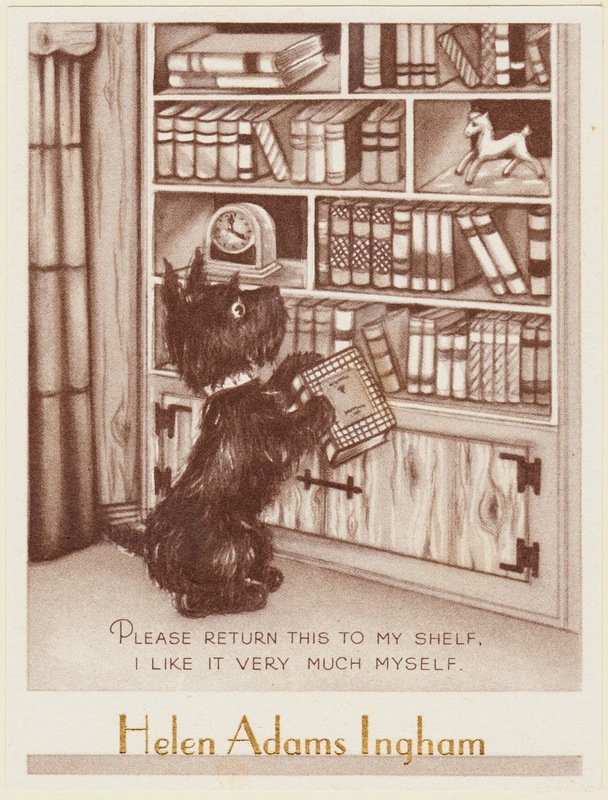 It features a cute illustration with a dog and a bookshelf. 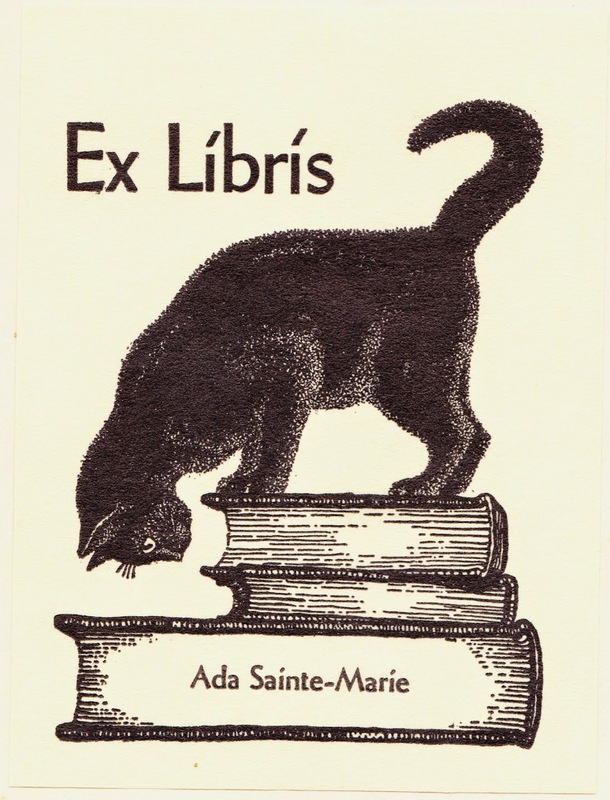 Many of these bookplate were affixed to volumes acquired through The Heritage Press from the 1940s through 1960s. 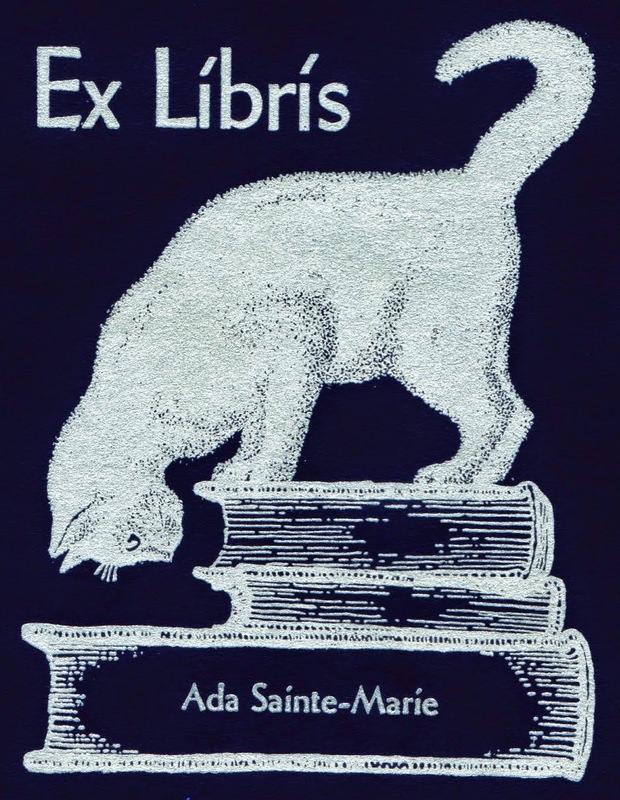 According to a Michael C. Bussacco's 2006 article on The Heritage Press, the imprint was founded in 1935 by George Macy (1900-1956) "for the creation and distribution of more affordable 'semi-luxe' books." 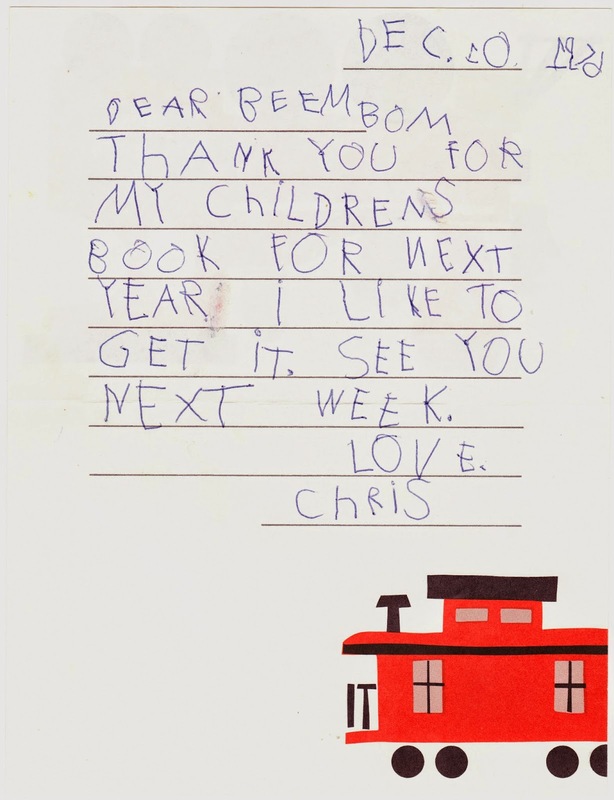 Here's the final 2014 edition of "From the Readers." Thanks, as always, for all of your comments, support and kind words throughout the years. Sally Bailey Pomraning — "Bought my first wringer washer and a baby stroller there in 1958-59 on the payment plan LOL and then a nice desk in 1968. It was a nice store on West Market Street." Ann Young O'Connell — "We bought our first sofa there in 1973 when my husband came back from SE Asia." 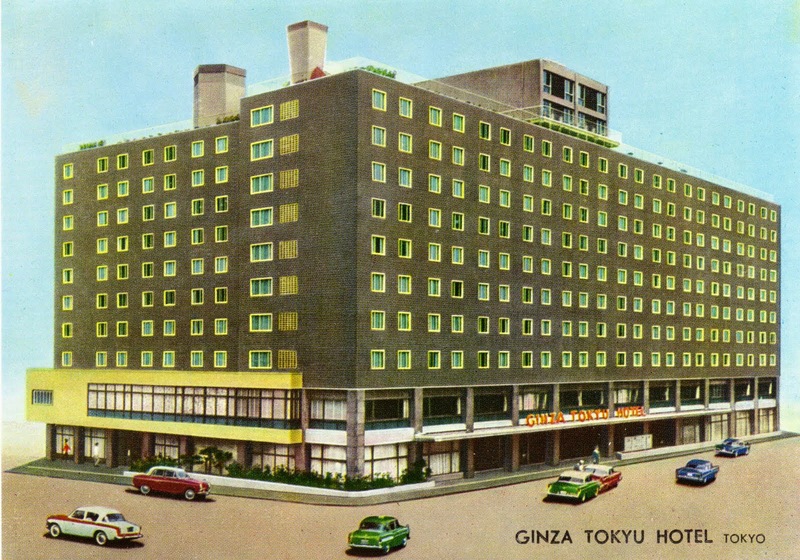 Catherine Bean Malstrom — "I bought my first furniture from Leinhardt Bros."
Saturday's postcard: Ginza Tokyu Hotel: Anonymous writes: "Hello, my still happily married parents met there in 1962 when visiting Tokyo. I tried to find the location today, but found a new building on the site. 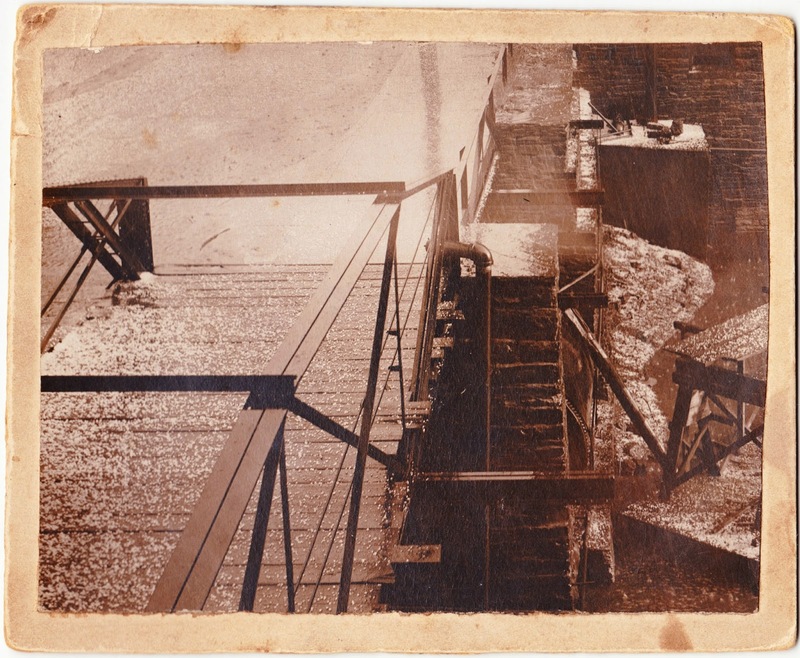 Do you know whether the lower floors are still original with only the top floors having been stacked on top, or was the hotel building completely torn down?" 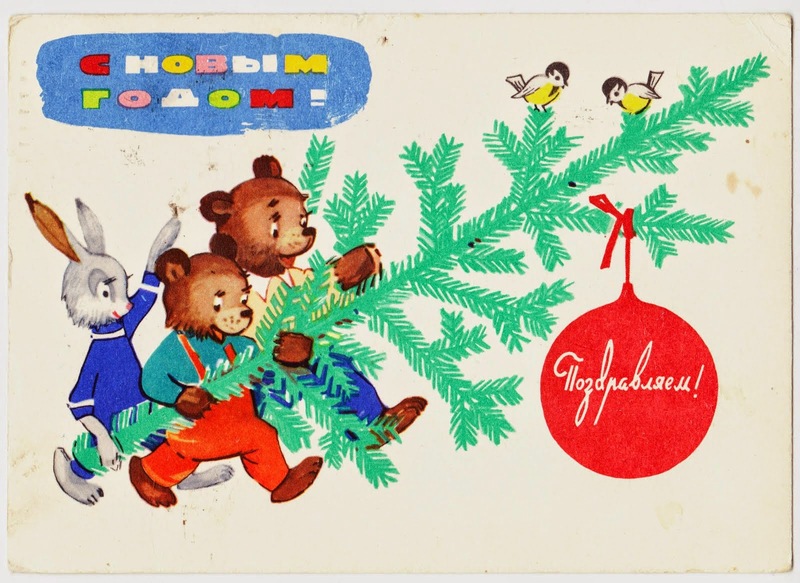 1960s Russian С Новым годом postcard ("Happy New Year! "): Izake Hitori writes: "It's not a rabbit, it's a forest hare — just a character of Russian folklore. Usually described like kind but faint-hearted, willing to help everyone." 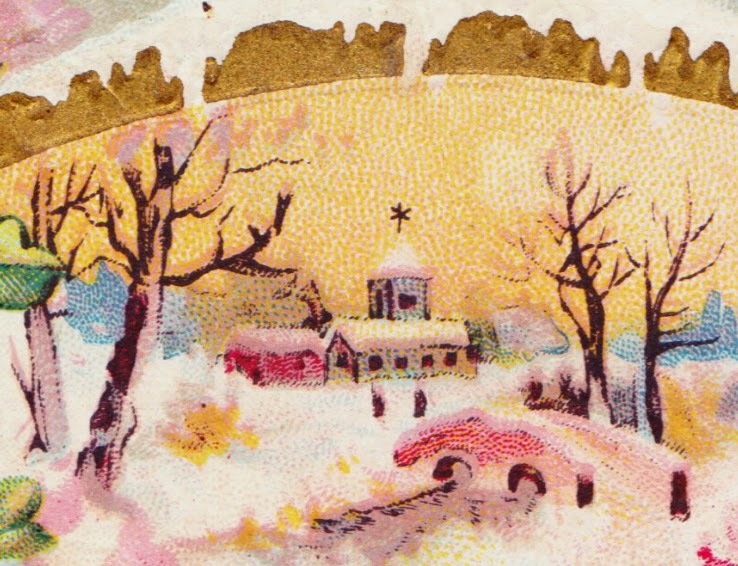 In support and defense of tiny Christmas cards: Anonymous writes: "But you can't send these through the mail unless you put them in a larger envelope ... conservation fail." 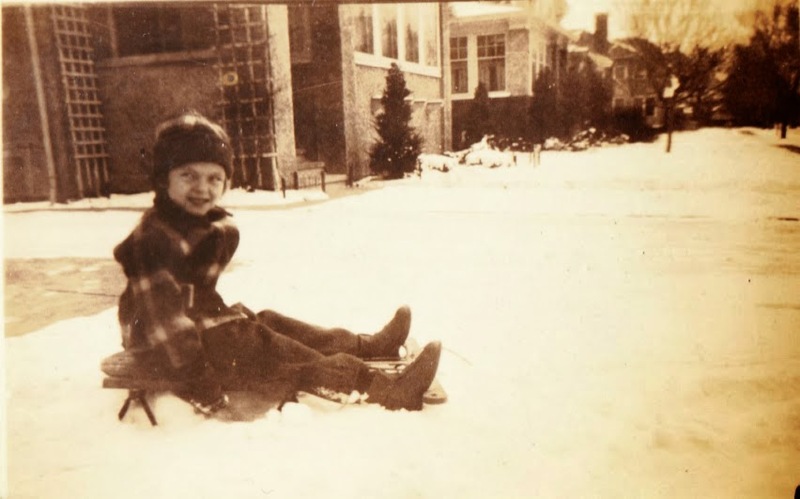 Vintage photographs of kids playing in the snow: Nan Keltie writes: "I enjoyed seeing your post about winter and snow fun for kids! Thanks for sharing. I used one of the photos on my Facebook page and gave you credit by linking back to this page." Coupons from the E.H. Koester Bakery Co.: Vincent Ward writes: "My grandfather, Edgar Weal, worked for Koester's as a credit manager from 1933 until he retired in 1965. 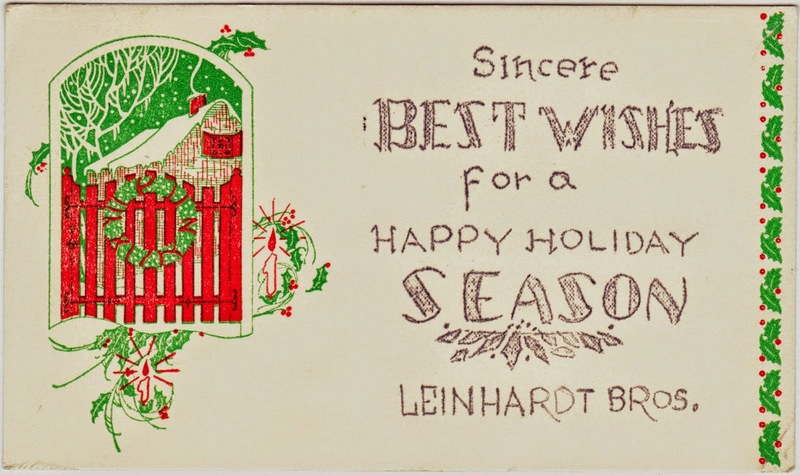 When I was born he purchased a $25 U.S. Savings Bond for me through Koester's (I guess you could do that back then!) I kept the bond until cashing it some time in my early 20's. Needless to say my family ate a LOT of Koester's bread. Great memories!" Make the top and the bottom something great with Koester's Bread! (Tune aired frequently on WBAL radio in 1972 during or near the time of Orioles' broadcasts. Heard the sound in and around my grandfather's Trappe farmhouse when I came over to visit from VA's western shore during school's summer break.)" 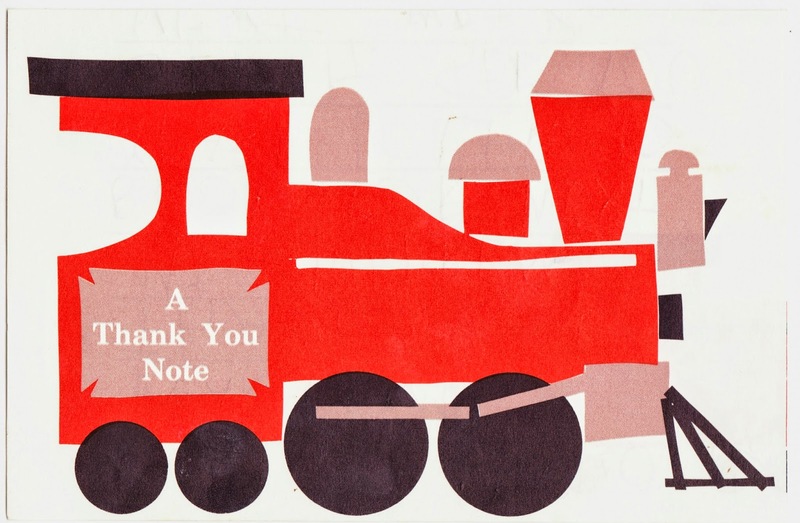 Thanks for passing that jingle along! I love that so many comments and memories were generated by this 2011 post. "Dear Friend Mable come down on beldsnickle night": Jim Fahringer writes: "My two grandmothers — one born in 1889 and the other born in 1883 — often told me of their belsnickeling. It seems that they dressed in costumes similar to Halloween costumes and would travel from house to house on Christmas Eve asking for treats. I actually still have one or two belsnickeling costumes. For many years my mother wore the one costume as a Halloween costume during the early 1930's and my sisters wore the costume during the 1950's. Unfortunately the costume is in rather bad shape today — torn, dry rot, stained." 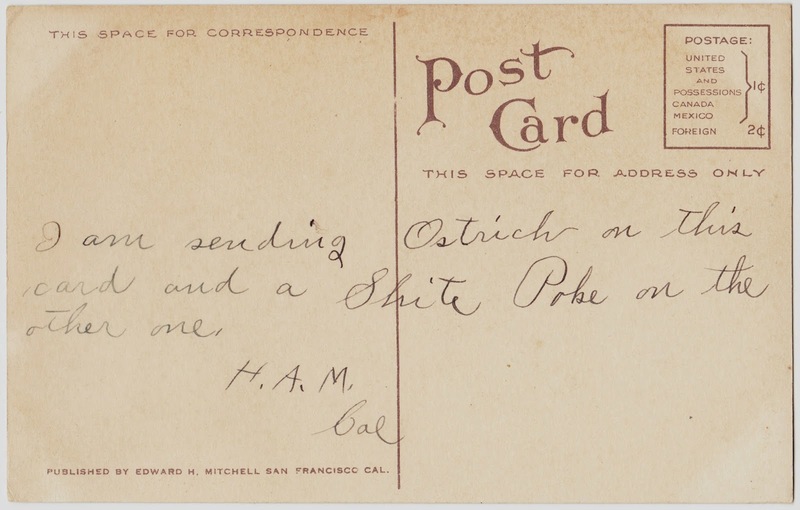 "I am sending Ostrich on this card and a Shite Poke on the other one." Maybe some of you knew instantly what a Shite Poke was. I did not. I had to look it up. Turns out, it's a slightly vulgar synonym for heron. "The shite-poke is not imaginary. 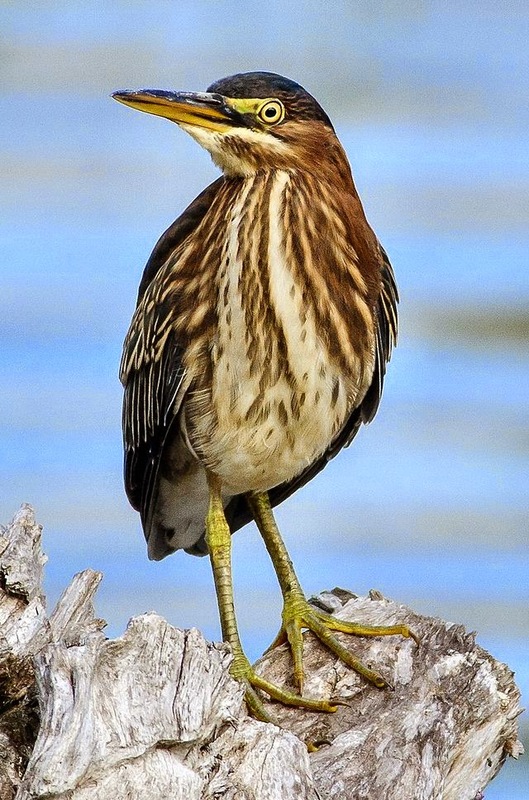 It is the common green heron, Butorides virescens. 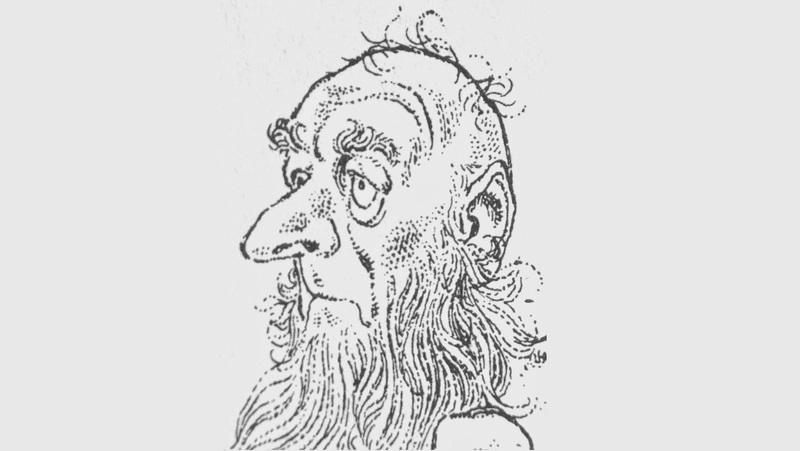 Shite-poke is traced by the DAE to 1832. 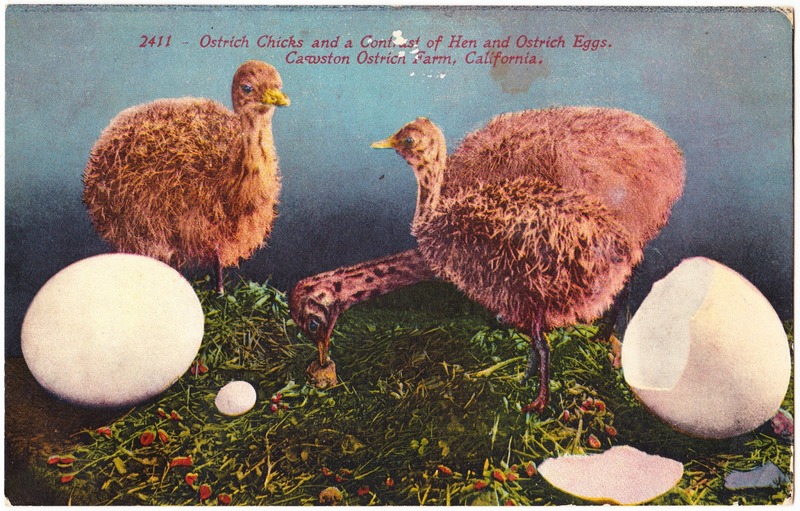 Early alternative names were poke, and skouk, both recorded in 1794, and chalk-line and fly-up-the-creek, both recorded in 1844. One of the authorities cited by the DAE says the shite-poke was borrowed from the Dutch schyte-poke. It is legendary throughout the shite-poke's territory that it lives on excrement."